Agricultural Machinery, Farm Equipment: tractors, combines, harvesters, planting and tillage equipment, mowers, and more. We are Northern New York's Equipment Connection! 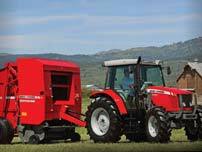 White's Farm Supply is a full service Case IH, New Holland, & Kubota dealer selling new and used tractors, forage harvesters and farm equipment with locations in Canastota, Lowville & Waterville, New York.